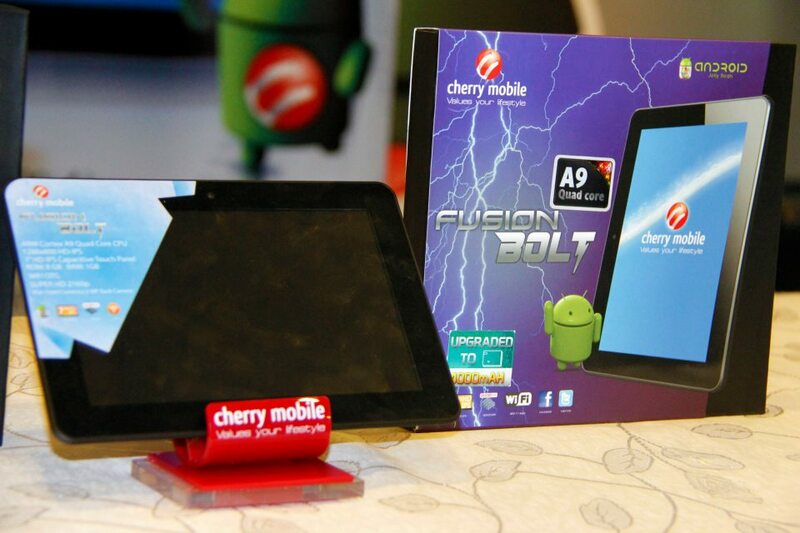 Today is the Cherry Mobile's Fusion Bolt Day! For Manila and Cagayan de Oro fans, of course it is. But how about here in the Queen City of the South and the rest of the key cities in the Visayas region? Many Cherry Mobile stans have emailed me asking when will the soon-to-be bestseller come to this part of the country. So i end up, almost subconsciously getting for clues. Before anything else, let me give you the basics. Cherry Mobile Fusion Bolt is a rebranded Ainol Novo 7 Venus Lite (that's one helluvah name, good thing CM did something about it). Anyways, this slate will be running in a 1GHz quad-core CPU and Jelly Bean to boost up its showmanship. If you think that's too much for a Php 4K device, then you have have to give an ample room to contain you excitement for the 1GB of RAM. For me, those three features will be worth my four grand. 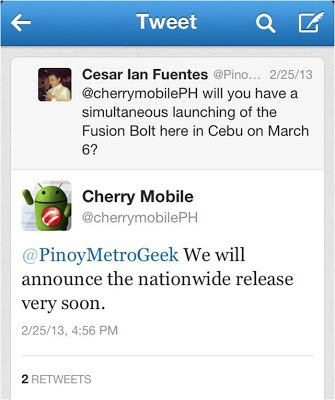 So like I said, I excerted efforts for me to lay my hands on that Fusion Bolt the soonest time possible. I even went to a Cherry mobile kiosk in SM City Cebu Cyberzone to ask for a reservation, sadly the CSR told me that they're still not accepting reservations because they haven't had a time frame for the release yet. 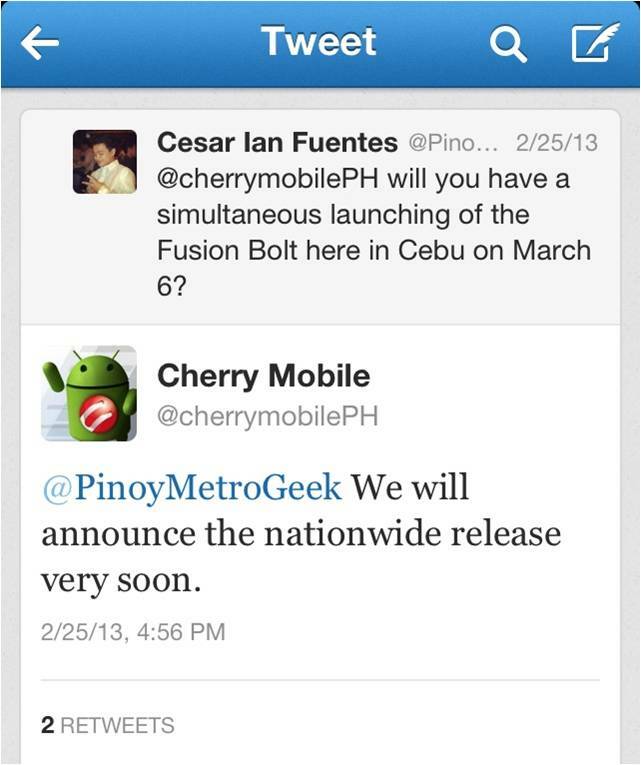 However Cherry Mobile's Twitter account (@cherrymobileph) told me that they will be announcing the nationwide release very soon. So I guess we'll just have to stretch our patience a little bit more, we know it's worth the wait. Isn't it?